In a new book, two Oxford professors, Alexander Betts and Paul Collier, are calling on politicians to harness “the remarkable opportunities of globalisation” to reorient the refugee system away from humanitarian assistance and towards development. Focusing primarily on the arrival of large numbers of Syrian refugees in Europe during the course of 2015, they argue that the refugee system has failed to provide long-term solutions for refugees who are left festering in underfunded “humanitarian silos”. One of the “big ideas” Betts and Collier present is that global capitalism can ride to the rescue of the refugee system through the creation of jobs for refugees within special economic zones (SEZs) in countries such as Jordan, currently host to around 650,000 Syrian refugees. SEZs are designated areas with special economic regulations intended to attract foreign direct investment. The proposition is a simple one: provide companies with tax incentives and opportunities for trade in return for providing refugees with opportunities for work, autonomy and self-reliance. They argue this will create a “win-win” situation for both the developing countries which carry the burden of supporting the majority of the world’s refugees with limited resources, and the rich countries struggling politically to manage the consequences of increased irregular migration. But as I argue in a review published in the journal Nature, neither the book’s diagnosis nor its vision take us closer to a solution because it engages only partially with the complex political and economic realities facing the world’s refugees. The idea of harnessing the skills and capabilities of refugees for development is far from new. In the 1960s, UNHCR – the UN’s Refugee Agency – tried to link its refugee assistance programmes with development aid. From the early 1980s, there was a strong emphasis on what came to be known as “refugee aid and development” programmes, with the aim of moving refugees towards self-sufficiency and a durable solution to their situation. But the increased interest shown by the EU and international organisations such as the World Bank is certainly new and clearly reflects more recent political and economic developments – particularly in the EU and Jordan. The EU has been desperately try to find ways to limit the number of refugees arriving in Europe. 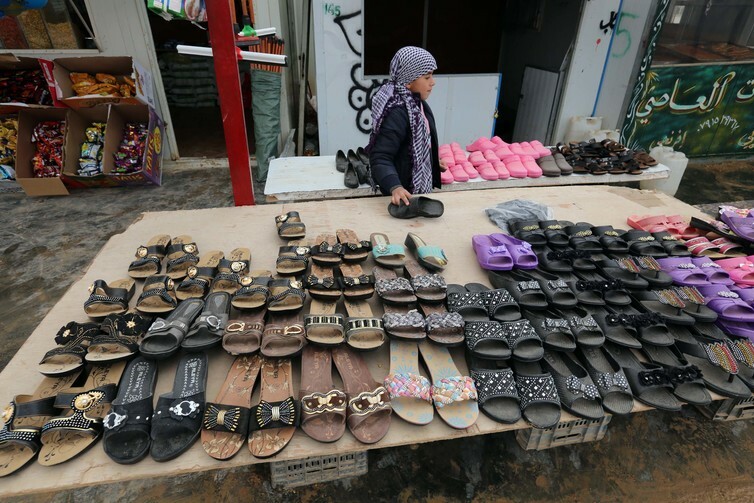 Jordan’s economic woes, which are longstanding, have been exacerbated by the arrival of large numbers of Syrian refugees. These political and economic interests came together in the Jordan Compact, which was signed in London in February 2016. The agreement provides a $2.1 billion aid package to Jordan on the condition that jobs are created for Syrian refugees who, for the past five years, have been barred from legally working in the kingdom. At the same time, multilateral development banks said there was potential to offer as much as $1.9 billion in concessional financing, and the EU has agreed to waive taxes and quotas for products created using Syrian labour. Jordan will also allow legal employment for the hundreds of thousands of Syrians outside the zones, without putting them in direct competition with Jordanians. The aim is to create as many as 200,000 jobs for Syrian refugees over the next five years. While globalisation has undoubtedly lifted millions of people out of poverty, it has also been associated with exploitation and marginalisation. Evidence from SEZs in Asia shows how labour rights have been compromised, resulting in extremely low wages, forced overtime and different forms of abuse. So much so that in India they have been dubbed “special exploitation zones”. But the problem with SEZs is bigger than this. Around 5m people have been forced to leave Syria and are currently hosted by Turkey, Jordan and Lebanon. But the majority of the world’s 21m refugees are living elsewhere, predominantly in countries in which there is ongoing conflict or with whom relations with the West are distinctly strained. It is hard to imagine international organisations funding the employment of refugees in SEZs in the Islamic Republic of Iran. Iran is currently host to nearly a million refugees mainly from Afghanistan who face discrimination and exclusion from the labour market. Or Chad, host to more than 360,000 refugees mainly from surrounding countries which are reeling from attacks by the militant group Boko Haram. Or Sudan, with an estimated 356,000 refugees, whose president, Omar al-Bashir, is facing an International Criminal Court arrest warrant alleging war crimes and crimes against humanity. And in Ethiopia where the EU has signed a similar agreement to the one in Jordan. Here, my discussions with those working on the ground suggest there is growing resistance to the idea of new jobs being “ring-fenced” for refugees. Crucially, the focus on creating employment does not address the problem at the heart of the refugee system: the failure of the international community to step up to its responsibilities under international law to provide protection for those who are fleeing conflict, persecution and human rights abuse. It is also questionable whether employment in semi- or low-skilled jobs in neighbouring countries could prevent people from moving on to Europe or beyond. Recent research my team and I did interviewing 500 refugees and migrants who crossed the Mediterranean to Europe during 2015 found that many had moved not just because of a lack of work but because of a lack of protection, security, education and healthcare for their children. In the period since Betts and Collier first suggested that SEZs would help mend the broken refugee system in late 2015, a number of governments and organisations have lined up behind the proposal. But even in Jordan doubts are starting to creep in. More than a year since the Compact agreement was signed, Jordan has secured $923.6m in funding, but the hoped-for results haven’t yet materialised. Although Syrians in Jordan were able to get work visas from April 2016, the humanitarian news agency IRIN reported that according to Jordan’s Ministry of Labour, by February 2017, 38,516 permits had been issued. This means that the Jordan Compact has so far benefited a small proportion of refugees despite huge political and financial effort. The reasons are complex but at heart they reflect a failure on the part of governments and international organisations to engage with the complex realities of the Jordanian labour market – which is already highly dependent on migrant labour – and the needs and aspirations of refugees themselves. Within SEZs, the jobs on offer are typically low- or semi-skilled with long and repetitive hours. Those who have tried to hire Syrians in larger numbers, for example within the garment industry, have found that the take-up has been poor. Whereas other migrant workers are typically single, many Syrians struggle with childcare responsibilities and poor transport links from the places they are living to SEZs. In practice, for many Syrians the gains of being legally employed are simply not worth the losses. Some refugees fear losing access to financial support or the opportunity to join family members who are have already moved to other countries. Others prefer to remain under the radar rather than risk registering with a government they don’t fully trust. And although they are also allowed to apply for work permits outside of the SEZs, Syrian refugees are barred from applying for jobs as accountants, doctors, engineers, lawyers and teachers for which they have previously been trained but which are viewed as potentially taking opportunities from Jordanian workers. It would be easy to dismiss all of these points as an unnecessary distraction from the central proposition put forward by Betts and Collier, namely the need to address the problems facing the refugee system by focusing on development rather than humanitarianism, empowerment rather than dependency. But details are important. SEZs are a tool for creating livelihood opportunities for some refugees in some contexts. But addressing the profoundly political problems that underpin the drivers of forced migration and have come to mark the international community’s response to it will require far more creative thinking. And it will require the kind of alliances and allegiances that challenge and confront some of the profound inequalities with which global capitalism has come to be associated.